In this fun feather painting craft, we’re going to learn how to paint peacock feathers with paint pens. It’s a quick craft and the results are amazing and the feathers can be used on rocks, in mobiles, and TONS of other crafts and projects! Since we discovered how to paint feathers with watercolors, we’ve been experimenting with all kinds of paint and techniques. Bags of craft feathers are super cheap, so this is an economical and creative craft for both kids and adults. 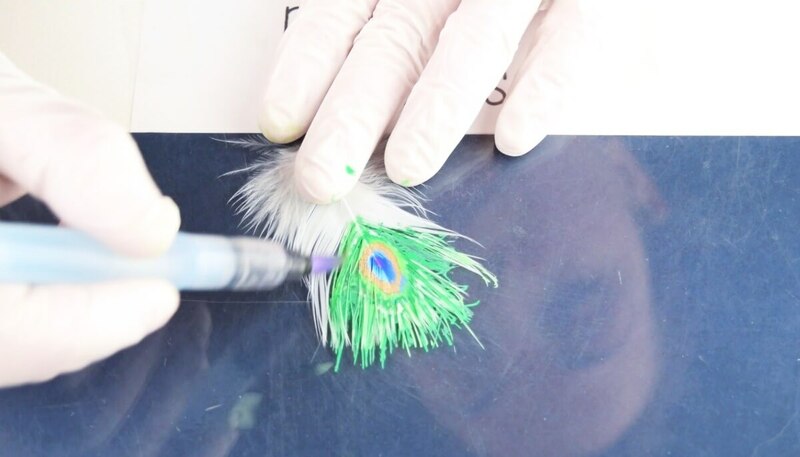 This week, we used our favorite paint pens to see if we could paint peacock feathers. Guess what? It worked great! And because it’s frugal, you can also pair it with crafts like our peacock feather rock (an easy and simple rock painting idea). This article contains affiliate links from advertising partners which means I could be compensated for my recommendations. You really don’t need a lot and these things to make painted feathers and they are ADDICTIVE once you start painting. I set this up for the kiddo and honestly, I might have enjoyed the craft more than she did. We’ve used them on arrows (for Valentine’s Day gift-wrapping), on rocks, and even on a wall-hanging my daughter made. 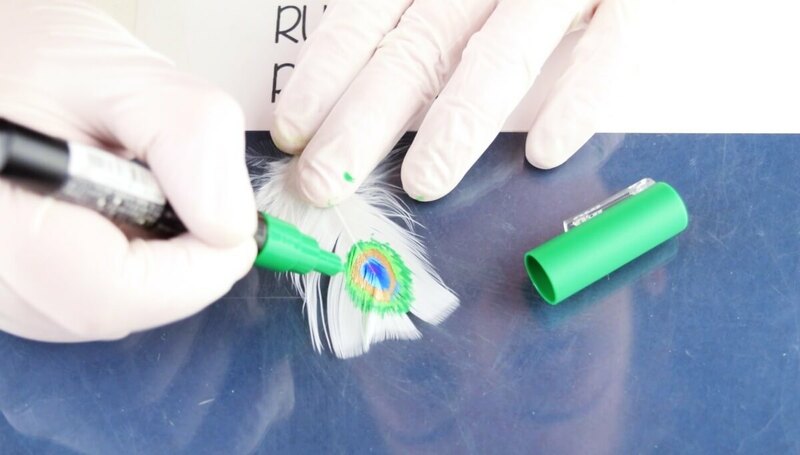 At the beginning of our painted feather rocks video, we show how to paint the peacock’s eye feather. This is one of those crafts that the more you make, the better you get. I suggest trying it first on paper, then on the feathers. Step 1: Make the eye of the peacock flower. Start in the top section and make a small purple dot. Surround the purple with a dark blue. Make a small layer of light blue on the outside of the dark blue. Let it dry for a second and then add the gold paint. Let it dry again for a brief time and then use the light green to make a thin halo. Step 2: Paint the peacock feather. Alternating light and dark green, add strips of color in small sections. Use the water brush to add water to the paint while it’s still wet to spread and combine the color. At the bottom, add a couple of streaks of brown paint to add dimension. Immediately add the light and green paint. Use the water brush to combine all the colors. Step 3: Brush out the dried feather. Using a fairly-stiff bristled brush, start on the back of the feather and brush from the center out. Turn the feather over and make sure the front is brushed out, as well. Note: there will be some color transfer, so don’t use a brush you don’t mind coloring. Additionally, it might transfer to your work surface, so please protect it. As you’ve likely concluded, the look to these feathers is different than real peacock feathers. If you need real peacock feathers, you can buy cruelty-free peacock feathers here or bulk-sourced peacock feathers from Amazon. What do you think? 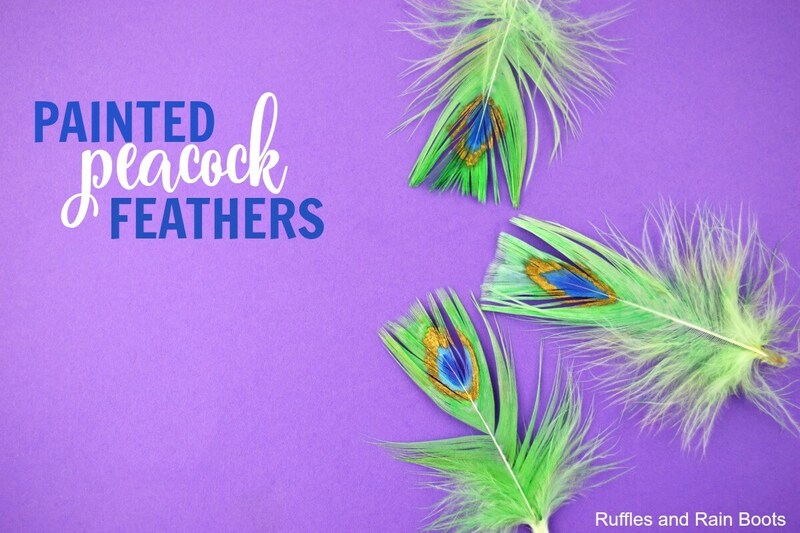 Will you set up a quick craft to paint peacock feathers with paint pens? 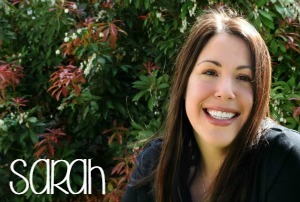 What about the watercolor feathers (those are gorgeous)! Id’ be so grateful if you would please pin this to your favorite craft supplies board.